Madrid Open @ Puente Romano Tennis Club: Join Today and Win a Dinner for Two! The future of tennis has finally arrived in Marbella! 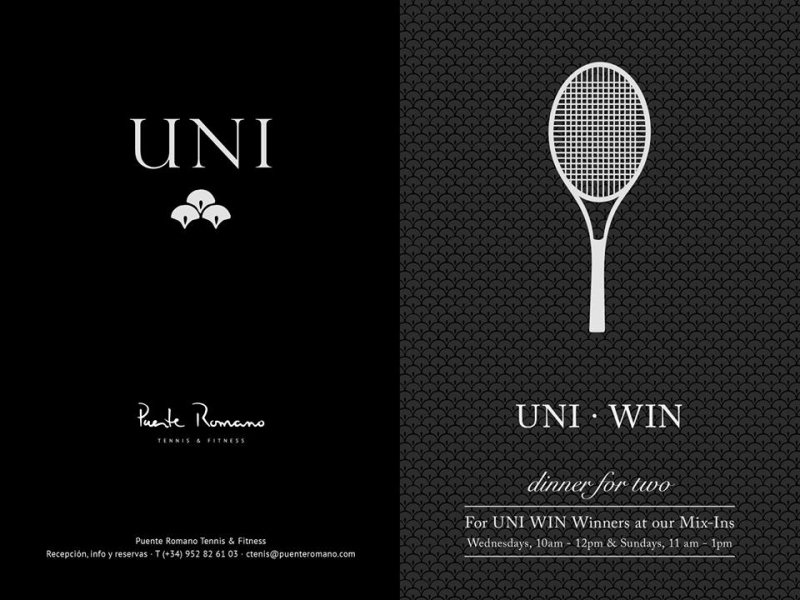 Join the tennis mix-ins today and win a dinner for two at UNI Marbella at Puente Romano Beach Resort and Spa! Uni Win! For more information in Spanish please visit http://www.madrid-open.com/sub16/!